Posted on May 20, 2017 by revivewa	in Opinion, Reviews. 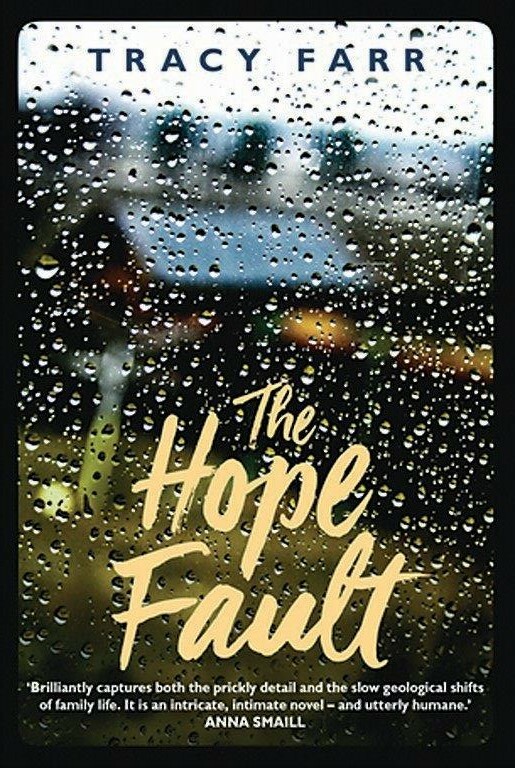 The Hope Fault is Tracy Farr’s second novel. Tracy is a Western Australian novelist and former research scientist based in Wellington, New Zealand. She calls both places home. The Hope Fault is named after the real geological fault line called the Hope Fault, situated in the north-eastern part of New Zealand’s South Island and forms part of the Marlborough Fault System. teenage daughter, Luce – spend a weekend packing up her holiday home by the sea. The house provided storage for many items gathered from her almost 100-year-old mother, Rosa, living her final days in a nursing home in Perth. Farr gives the reader insight into the now mute, Rosa’s extraordinary life. Rosa’s travels, loves, broken heart, free spirit and artistry are revealed to the reader, as well as her struggles to conform to the expected role of women of the era. The Hope Fault also celebrates the complexities of modern-day, extended families. The characters share much of their life in the house with others, but we also read of their internal dialogue of dreams and fears constantly whirring within their minds. For many reasons, the characters keep these from each other, but the reader is given insight into their thoughts. As each character journeys through the weekend of packing, remembering the good and bad of their lives and the house, as well as their current life, this artistic family each prepare a special gift to be presented during the naming ceremony for the baby. Their gifts are varied: stitching, drawing, singing and baking; and bring together both the past and the present. I love to immerse myself and escape into a novel and I only managed it fleetingly whilst reading this story. Rosa’s dialogue was the most engaging. I found some of the characters thoughts and feelings to be too abstract for me to understand the subtlety of the writing. However, it is a beautifully written story. To Western Australians, the descriptions of familiar places in the South-West and of the Meckering earthquake will resonate. The twists and turns of family life, along with the memories that are integral to the tasks and people involved packing up decades of life in this story is well-told. Having travelled twice on long weekends to pack-up family homes, I was able to relate, but I struggled to wholeheartedly engage with the book.